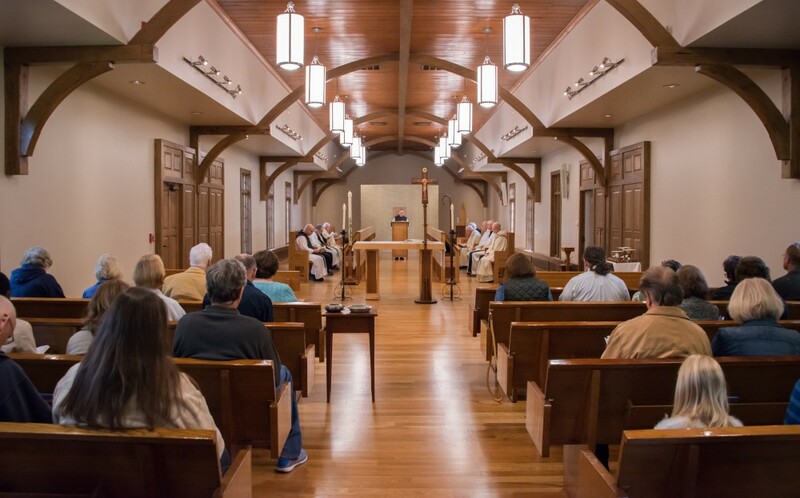 Visitors are welcome from 3:15 AM to 8:00 PM for personal prayer and meditation, as well as for the Eucharistic services and the Divine Office, which are chanted by the monks at the following times. For a brief description of the ancient custom of the Divine Office, see the Pray with Us page. The Roman Catholic Church sees the reception of the Eucharist as a sign of the unity of her members. We cannot, therefore, invite members of other Christian Churches to receive Holy Communion at our Mass. We ask that you respect the discipline of the Roman Catholic Church and that you join us in prayer for the unity that Jesus Christ prayed for, the night before he suffered and died for us all.